If you are here reading this review because you’re contemplating buying your fish oil supplements from Xtend-Life but you want to do some research first, then in my opinion you’re doing the right thing. The market is quite literally awash with omega 3 fish oil supplements, and I think far too many people rush into buying their supplements without giving it much thought. Please believe me when I say I have done tons of online research on this topic, and I can give you my solemn word that not all fish oils supplements are equal. There are really good quality supplements; there are some which are passable, and there are MANY which I wouldn’t take even if you paid me. In my opinion, Xtend-Life fish oil supplements might not be the absolute best, but you could do a lot worse ordering from countless other suppliers. If it’s of any consolation to you, allow me to add that I personally buy my omega 3 supplements from Xtend-Life, and I have been doing so for quite some time already. So far, I have been very happy with them and with the company itself. Having researched numerous different brands, I’ve had ample chance to discover a more superior brand, but that hasn’t happened yet. Now, even though I am a big fan of Xtend-Life supplements, I assure you that this will in no way influence what gets written in this review. To the contrary, everything you read in the paragraphs that follow is based on information I have gathered while researching countless omega 3 fish oil reviews. Okay, so let us get started. Xtend-Life is a New Zealand based, family owned business which was originally founded in 1998. Ever since the business was launched, the primary objective was to provide premium quality health supplements and skin care products made entirely from 100% natural ingredients. Actually, the Company’s official website states that all Xtend-Life products, including their vast range of skin care products, are so natural and so pure that they are in fact safe enough to eat. I realize that such a statement doesn’t automatically mean their fish oil supplements are better than everyone else’s, but it certainly does say a great deal about the Company’s commitment to the health and wellbeing of their customers, and their commitment to a very high standard of quality control. They also make it known, and they guarantee that all the fish oil used in their omega 3 supplements is extracted from wild tuna taken from sustainable fish stocks in the Southern Ocean. I’ve already mentioned that I myself have always been happy with the fish oil supplements I buy from Xtend-Life, but what do their other customers have to say. Continue reading to see what I’ve found out during the time I spent studying all those omega 3 fish oil reviews I mentioned. Omega-3 rich fish oil is extremely beneficial to one’s health, with even the FDA endorsing its effectiveness at reducing the risk of developing coronary heart disease. Many studies have also shown it can help to reduce the severity of pain and discomfort caused by various joint/bone related diseases. These are only two of the health benefits to be had, but there are several others as well. Xtend-Life only uses fish oil harvested from tuna caught in the Southern Ocean off the coast of New Zealand, where the waters are among the least polluted in the world. All Xtend-Life supplements are made in-house in the Company’s own FDA approved manufacturing facility, thereby ensuring they have absolute control over the entire process from beginning to end. Xtend-Life fish oil supplements are reasonably priced and the Company has an excellent Customer Service reputation. No additives are used to prolong shelf life and/or mask odors. All supplements only contain 100% all-natural ingredients. You can shop online for your supplements regardless of which country you live in because the Company ships internationally. Let’s face it, everyone loves to see a list of pros and cons when they read through reviews. To some extent, a list of pros is really just an extension of the list of benefits, but with a little bit more meat added. Anyway, next up is a list of PROS, which as I’ve said before, do not only represent my own opinion of this Company or their omega 3 fish oil supplements. Instead, they are merely the “pros” I’ve seen most often mentioned while I was doing my research. In-House Manufacturing – Xtend-Life does NOT source out any manufacturing. Instead, all their supplements are made in their own multi-million dollar FDA registered and approved manufacturing facility. As a result, the facility must pass all necessary health and safety inspections, and all supplements must meet FDA requirements, including their GMP program. Because of their in-house manufacturing, Xtend-Life has total control over things like quality; purity and etc. To be honest, this definitely played a big role in influencing my decision to start buying my own supplements from this company. Environmentally Conscious – Xtend-Life GUARANTEE that all fish oil used in the supplements is obtained from sustainable fish stocks swimming in the Southern Ocean off the coast of New Zealand. This shows a genuine environmental awareness, and judging from some of the reviews I’ve studied, it IS something which some people actually notice. High Level of Purity – The Southern Ocean off the coast of New Zealand is often described as being “PRISTINE” because this particular stretch of ocean is among the least polluted in the world. This is largely due to the fact that oceanic currents in the area prevent a lot of polluted northern hemisphere water from entering the area. 100% All-Natural Ingredients – Apart from being registered with the FDA, Xtend-Life is also registered with, and approved by the NPA (Natural Products Association). It is worth noting that NPA requirements and standards are known to be even more stringent than those of the FDA. Not only does NPA registration mean that the Company is now monitored in order to ensure their products ARE 100% all-natural, but it also demonstrates the Company’s willingness to be as transparent as possible. No Additives – Xtend-Life guarantees that ALL their supplements only contain all-natural ingredients, and that they are 100% devoid of any sort of preservatives or other additives which are often added to fish oil supplements in order to mask odors. No Mass Manufacturing – Unlike many of the very big corporations, Xtend-Life only manufacture quantities which are big enough to meet current demand. Flavorless & Burpless – One of the most common and most unpleasant problems with fish oil supplements is their tendency to make you burp, which in turn usually results in an unpleasant fishy odor and taste. I cannot say in all certainty that nobody will experience this with Xtend-Life fish oil supplements, but I can give you my honest word that it has NEVER happened to me, and I mean NOT EVER! 1 Year Unconditional Guarantee – It might seem too good to be true, but all Xtend-Life products are backed by a full (365 days) no questions asked, one year satisfaction guarantee. If customers aren’t happy with their order, they have a full year in which to return it for a full refund or a replacement, whichever they prefer. Exceptional Shipping Policy – The Company charges a flat $6.50 shipping fee regardless of where in the world you live, and this fee is only applied on orders totalling less than $60. All orders of $60 or more are shipped free of charge to all national and international destinations. Okay, I’ve mentioned and briefly discussed the most notable and most frequently cited PROS, so now it’s time for us to take a look at the most frequently cited CONS. Questionable Reviews – Sadly, I have come across several complaints from people who feel that Xtend-Life go to great lengths in order to secure fake favorable reviews. This is very unfortunate really because negative reviews relating to this issue have an adverse effect on the Company’s overall rating on many different online review sites. It is also something which will undoubtedly be putting a lot of potential customers off. Quite understandably, potential customers will be suspicious as to why a company needs to secure fake reviews if they are in fact as good as they say they are. HOWEVER, I would like to point something out which many people might not be aware of: Xtend-Life has an affiliate program, as do countless other businesses. If affiliates get potential customers to visit the Xtend-Life website, and those customers go on to purchase goods on the site, the affiliate gets a commission and quite rightly so. Unfortunately, some affiliates will publish fake positive reviews on their own sites and on other people’s sites in a desperate attempt to get commission from the company in question. Affiliates who have nothing to hide will make it VERY clear to their readers that they are affiliated to a particular site, and that they may or may not stand to gain financially from any resultant transactions. Cost – While I haven’t come across many complaints relating to the cost of Xtend-Life omega 3 fish oil supplements, there are clearly some customers who feel that Xtend-Life could be charging less than they currently are. I personally have no complaints regarding the price of my supplements, and to be honest, I think it is very difficult to try and compare prices due to there being so many variables. For example, acquiring Southern Ocean tuna and extracting their oil in New Zealand is inevitably going to cost more than if the Company ordered large barrels from, let’s say China for instance. I also think that one needs to take things like purity into consideration, and of course the very low shipping fees which in many cases ends up being free. Customer Service Delays – Negative feedback and complaints relating to customer service should not really come as a surprise to anyone who has read company reviews or product reviews, and Xtend-Life is certainly no exception to the rule. Nonetheless, I must admit that I came across far fewer negative comments relating to Customer Service at Xtend-Life than what I was expecting to see. Still, I did come across quite a few, so it is only fair that I do mention it here, even if I think most negative comments probably resulted from simple misunderstandings. No Expedited Shipping – While the Xtend-Life website clearly indicates that the Company can ship orders via a courier service if a customer requests it, I have read a few comments left by customers who claim that the Company refused to ship via courier even when asked. I personally think this is something which the Company needs to address. If they no longer offer this service, they need to update their website to reflect this. If they are still offering this service, then they need to ensure all their Customer Service representatives are aware of it. I have used Xtend-Life personally for some time now and I’ve never encountered any problems whatsoever. To the contrary, I have been very happy with the service and with the various products I have ordered and still do order. My only recommendation would be that people who are considering ordering their fish oil supplements, or any other product for that matter, should take a few minutes to read through the Company’s shipping policy and refunds policy before actually placing an order. This could at least help customers to avoid potential misunderstandings further down the line. My wife and I have used Xtend-Life products personally for several years and we have found their products genuine with on-time shipping and excellent customer service. I have been very happy with their Omega-3 and other supplements that I have ordered and still do order. 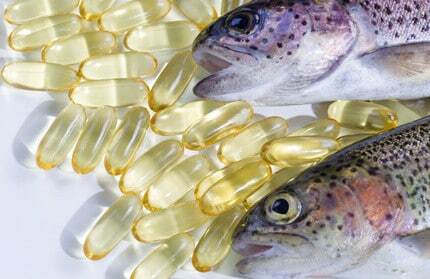 NextWhat Is the Best Fish Oil to Buy – Know the Facts?